Students walk out for gun reform, thousands flee Syrian enclaves, surfer catches waves under Northern Lights and more. 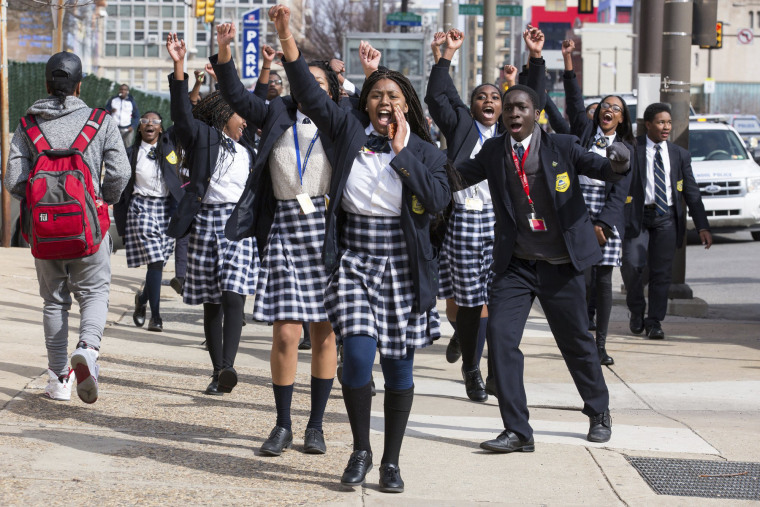 Kayla Brooks walks with other Multicultural Academy Charter School students as they participate in a walkout to protest gun violence in Philadelphia on March 14. 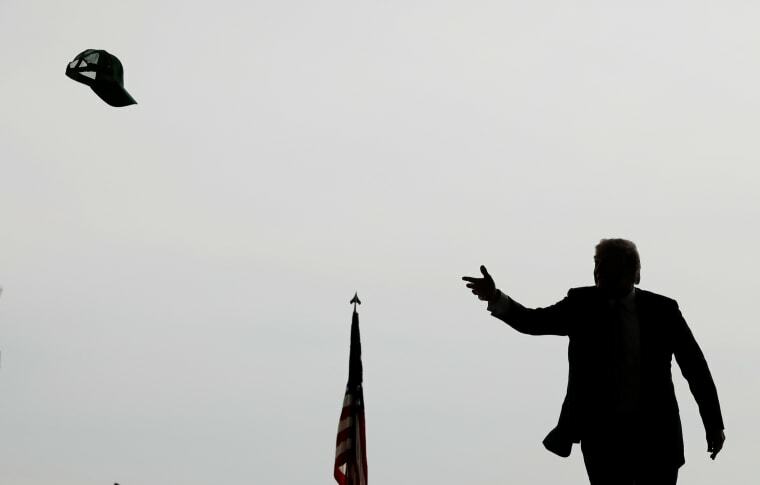 President Donald Trump tosses a hat into the crowd as he arrives to speak at Marine Corps Air Station Miramar in San Diego, California, on March 13. 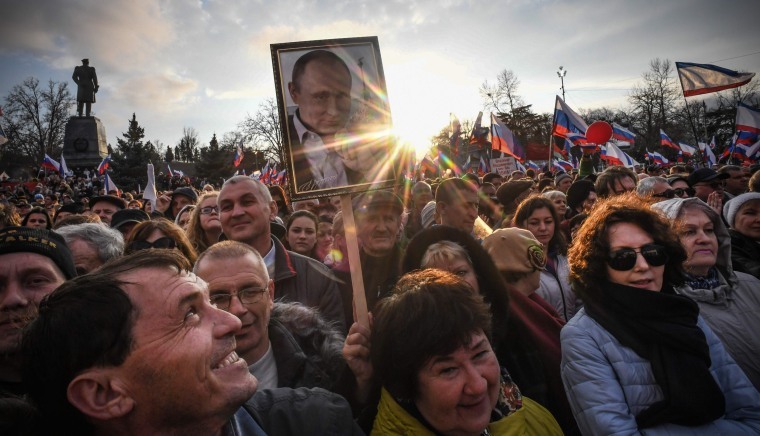 Supporters of Russian President Vladimir Putin gather for a rally to celebrate the fourth anniversary of Russia's annexation of Crimea at Sevastopol's Nakhimov Square on March 14. Putin is certain to win a sweeping victory in Sunday's presidential vote, securing another six-year term after 18 years in power, in part on his argument that he must stand up to Western aggressors. 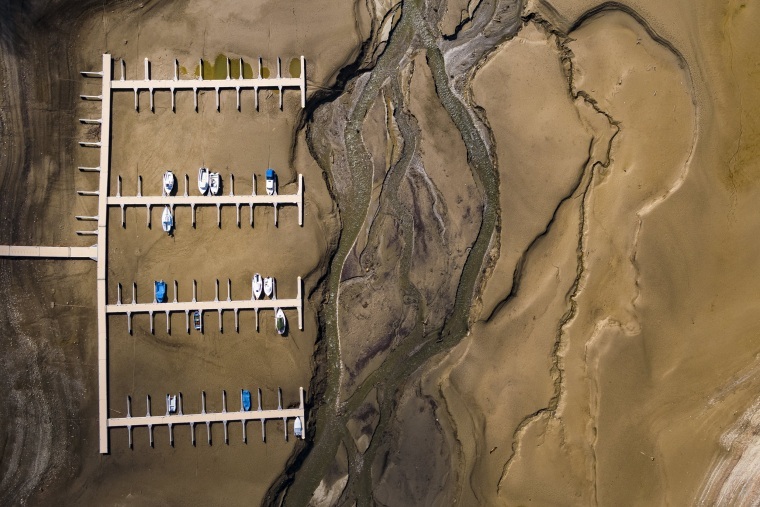 Stranded boats sit at a dock along the shores of the Lake of Gruyere in La Roche, Switzerland, on March 14. The level of the artificial impounding reservoir is progressively being brought down, in preparation for the upcoming melting of heavy snowfalls accumulated on the surrounding mountains. 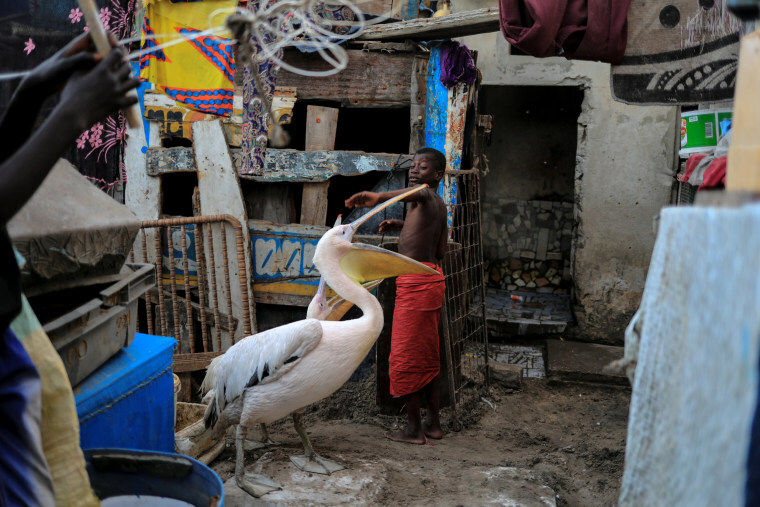 A boy plays with pelicans in the town of Yoff, Senegal, on March 14. 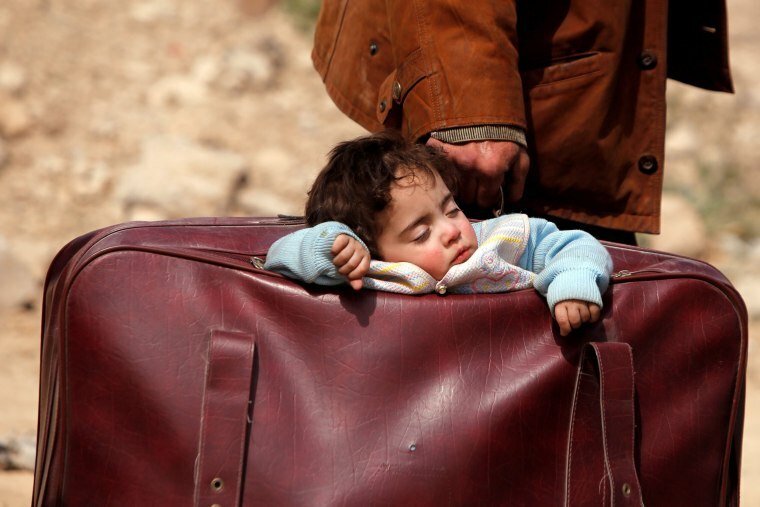 A child sleeps as he is carried in a suitcase in the town of Beit Sawa, eastern Ghouta, Syria, on March 15. Tens of thousands of terrified men, women and children streamed out on foot and in pick-up trucks Thursday from besieged enclaves on two fronts, fleeing bombings from the Syrian military near the capital, Damascus, and Turkish troops in the country's north. 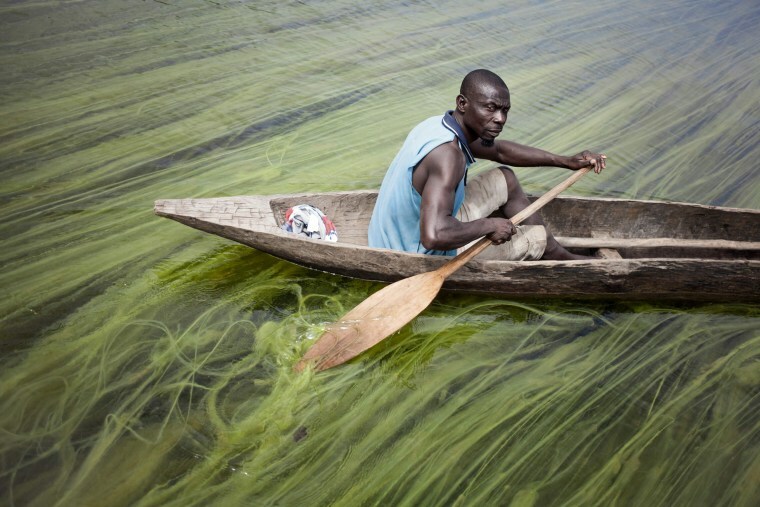 Matthias leaves for work along the Oubangui River in Damara, Central African Republic, on March 1. Longo Island, like other villages along the river, has become a refuge for Haute-Kotto fishermen as they flee militants. 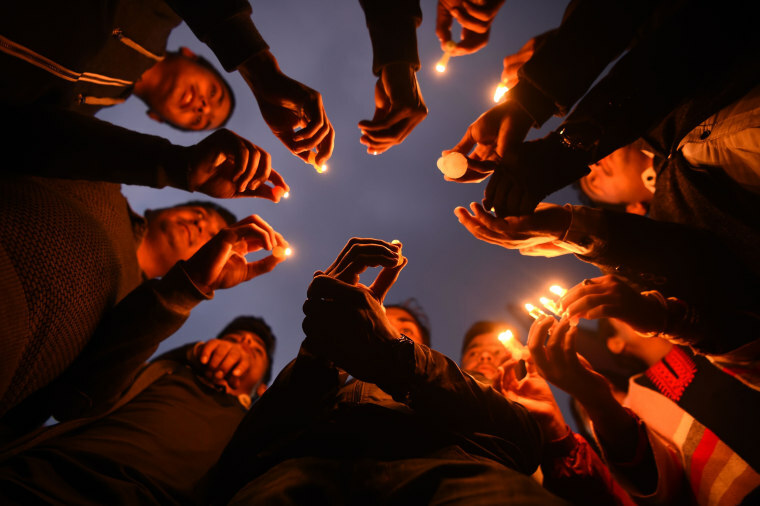 This photo was released by Agence France-Presse this week. 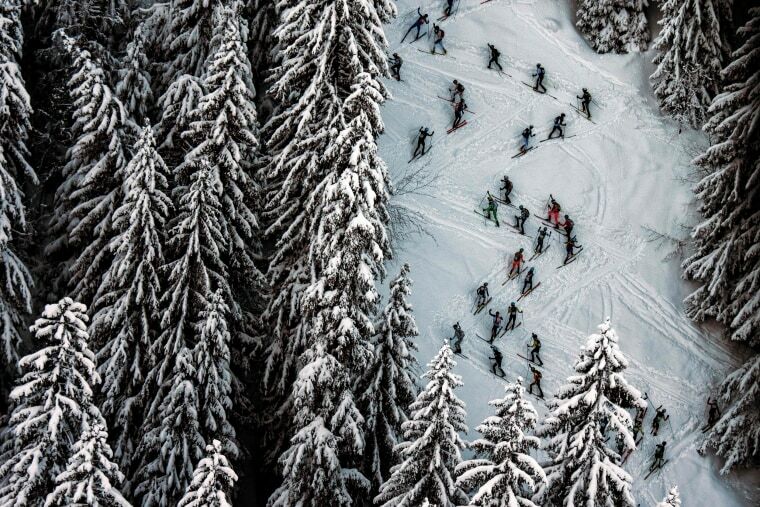 Skiers compete in the first stage of the Pierra Menta ski mountaineering race in Areches-Beaufort, France, on March 14. 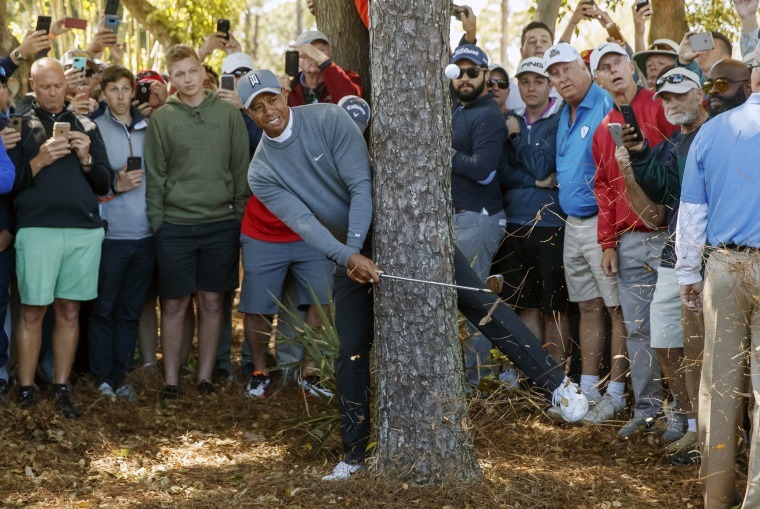 Tiger Woods hits from behind a tree on the fourth hole during the first round of the Valspar Championship golf tournament on March 8 in Palm Harbor, Florida. 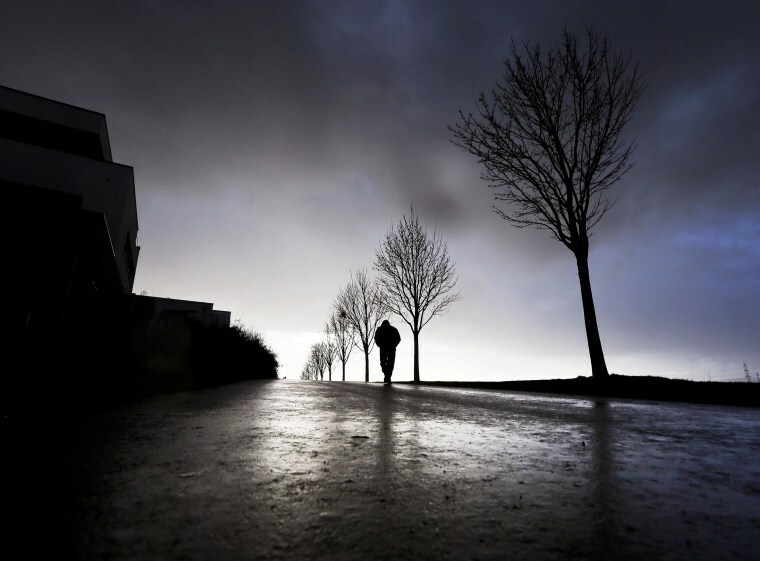 A man walks by trees in the outskirts of Frankfurt, Germany, on March 12. 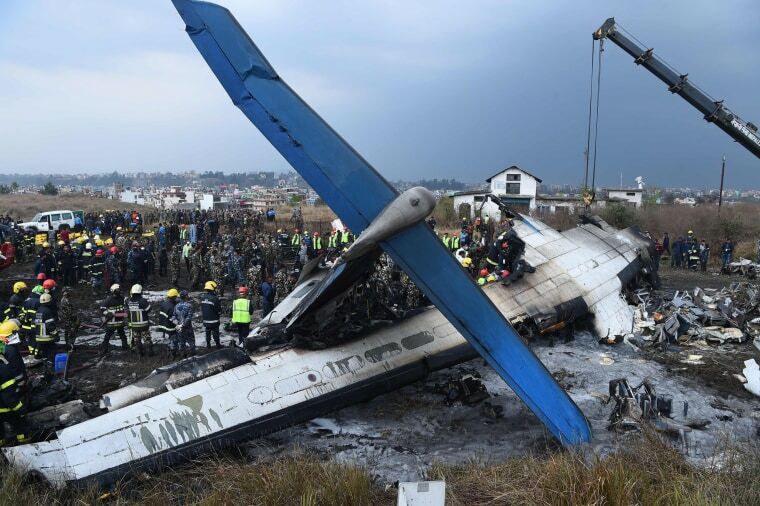 Nepali rescue workers gather around the debris of a crashed plane near Kathmandu airport on March 12. The passenger plane from Bangladesh crashed and burst into flames as it landed in Nepal's capital, killing 49 of the 71 people on board. 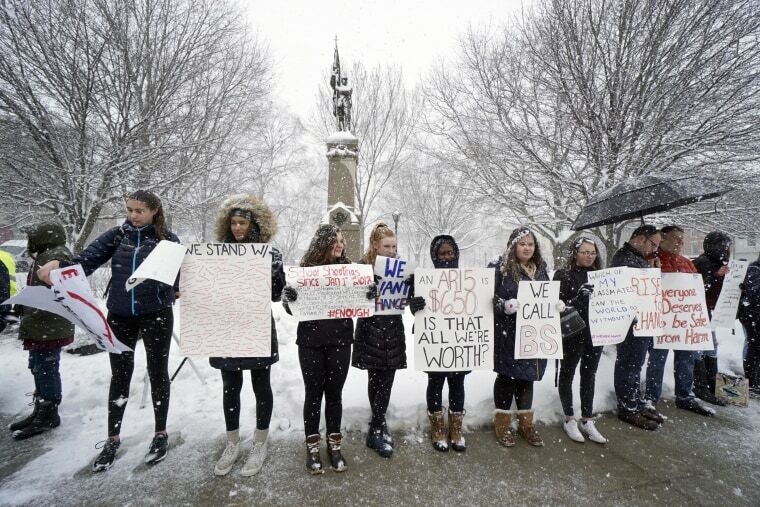 High school students hold signs during a nationwide rally for gun law reform on March 14 in Pittsfield, Massachusetts. 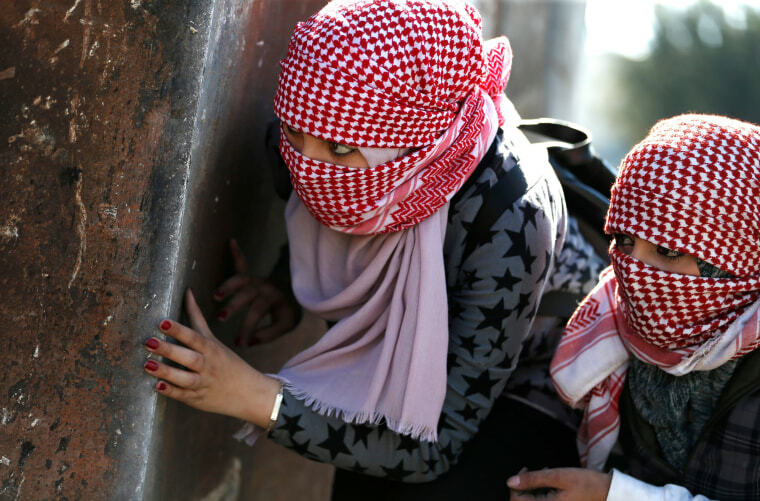 Palestinian demonstrators hide behind a metal plate during clashes with Israeli soldiers on March 12 in the West Bank town of Birzeit. The student council of the Palestinian Bir Zeit University announced a one day suspension of classes at the campus and called for students to rally and clash with Israeli soldiers at a security checkpoint near the settlement of Beit El, to protest the arrest of the head of the student council by Israeli troops last week. 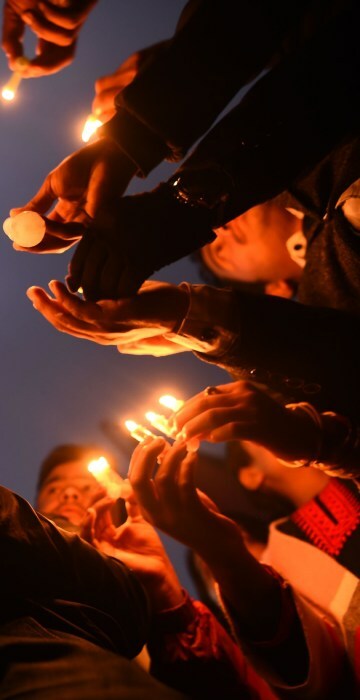 Mourners hold a candlelight vigil in honor of the victims killed the day before in a plane crash in Kathmandu on March 13. 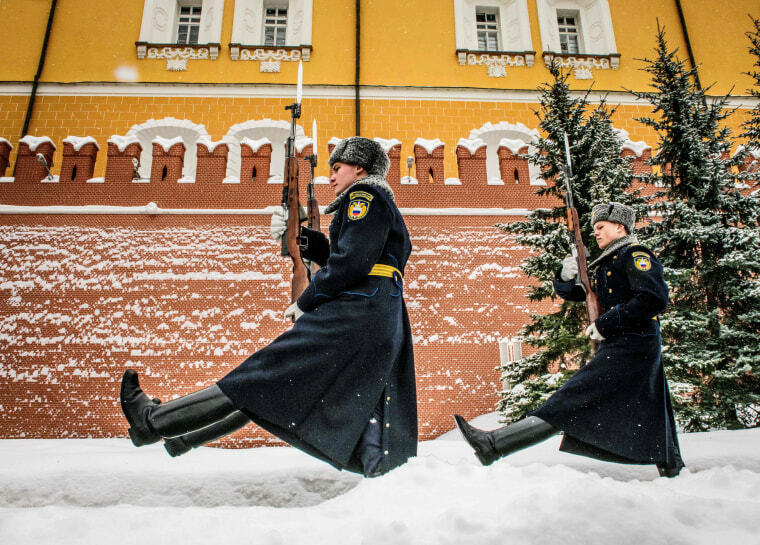 Guards march during the changing of the guards ceremony at the Tomb of the Unknown Soldier by the Kremlin wall in Moscow on March 15. 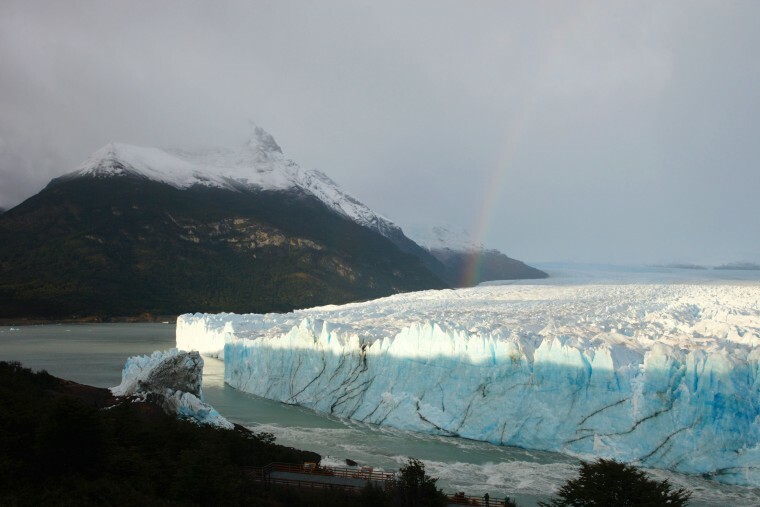 A rainbow appears over the Perito Moreno glacier in Argentina's Los Glaciares National Park near El Calafate on March 12 after an ice arch joining the glacier and the shore of Argentino Lake collapsed. The arch typically takes 2 - 4 years to form, as the glacier's ice slowly builds a dam that connects to the shore. Water then pushes through the dam, creating a steadily wider tunnel that eventually becomes a narrow arch, and collapses. 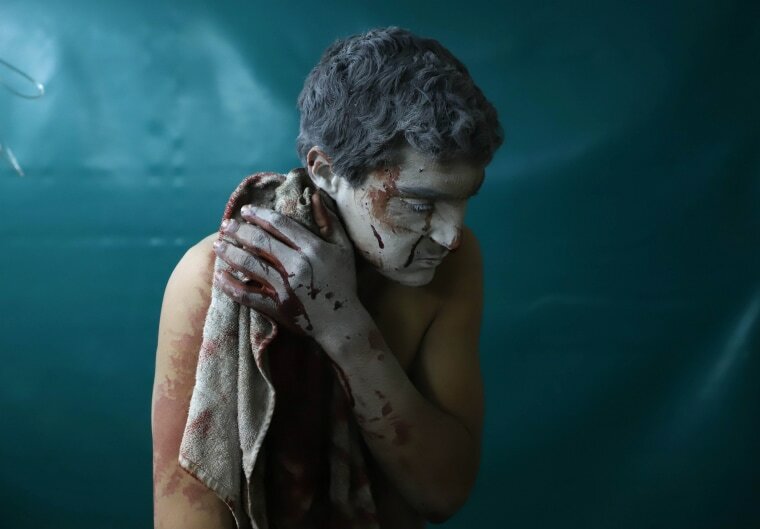 A wounded Syrian man waits for treatment at a makeshift clinic during Syrian government airstrikes on Zamalka, in the rebel enclave of eastern Ghouta, on March 13. Near the capital, Damascus, the Syrian government is chipping away at one of the largest and most significant opposition bastions since the early days of the rebellion -- communities where some 400,000 people are estimated to be holed up. 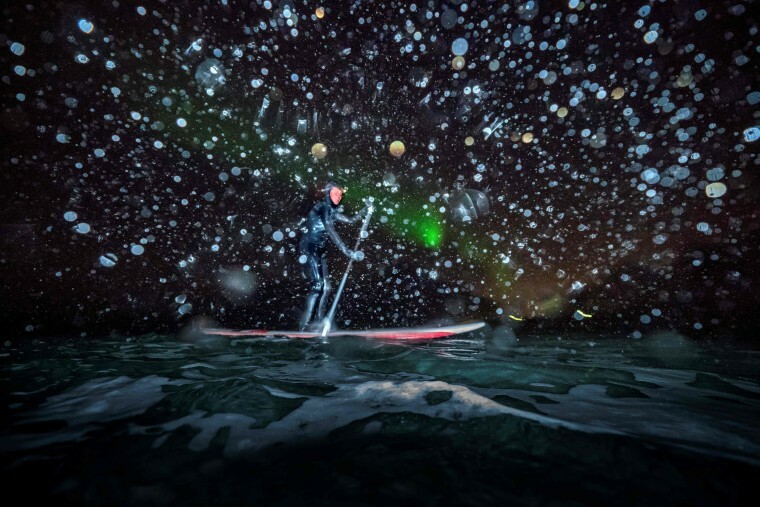 Myrtille Heissat rides a stand up paddle board under Northern Lights in Unstad on Norway's Lofoten islands, on March 8. 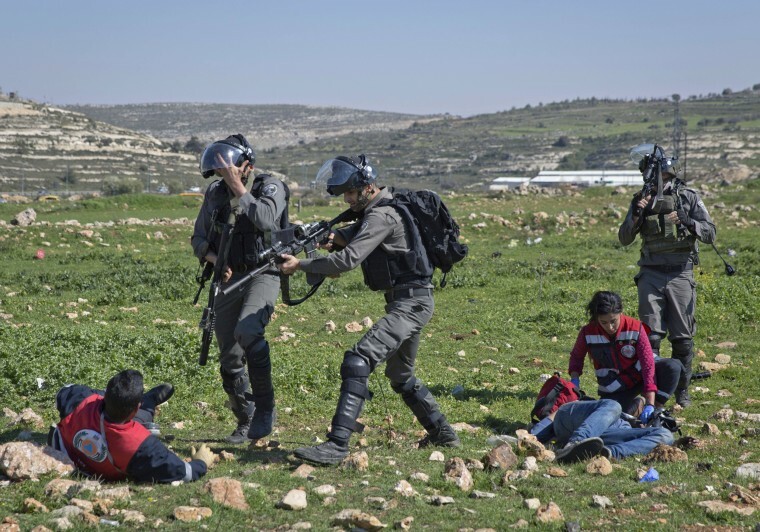 A Palestinian paramedic rushing to help an injured protester is blocked by Israeli border police trying to arrest the injured man, during clashes with Israeli troops, at the northern entrance of the West Bank city of Ramallah, on March 12. 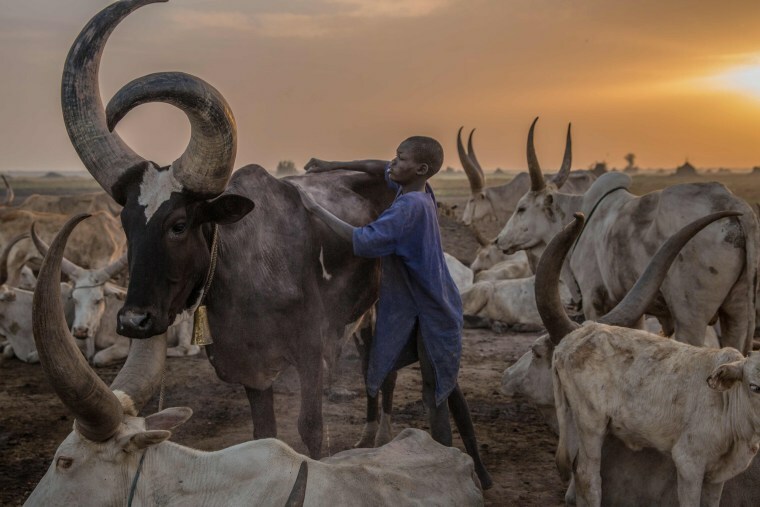 A Sudanese boy from the Dinka tribe tends to a cow in the early morning at their cattle camp in Mingkaman, South Sudan, on March 4. During the dry season between December and May, pastoralists from the highlands move to the lowlands and close to the Nile, where they set up large cattle camps to make sure their animals are close to grazing land. This image was released by Agence France-Presse this week. 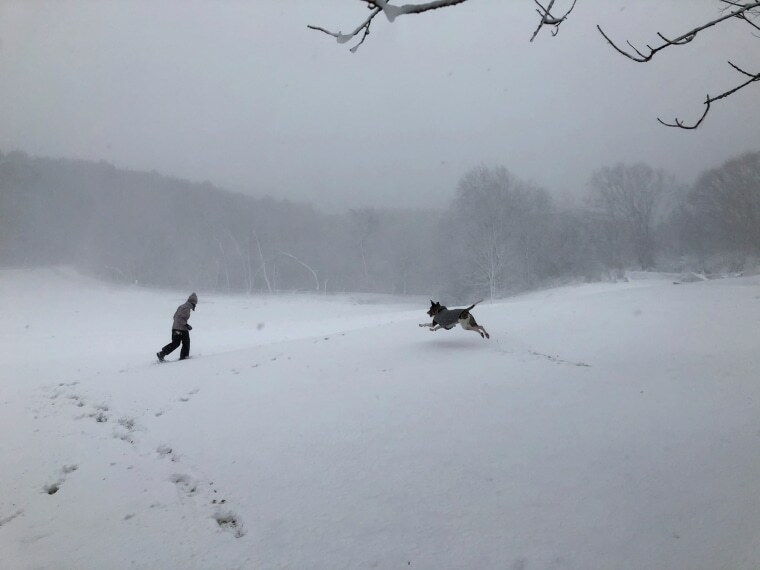 Madeline Marinovich, 11, and her dog Whizzby play during a nor'easter in Cambridge, Massachusetts, on March 13, the third storm to strike the New England coast in two weeks.